Whether you need to move a roomful of furniture or shuttle a small herd of people to their hotel, the 2013 Chevrolet Express Van has you covered. In passenger form, the Express can hold up to 15 people, and in cargo trim, the vast open space spans up to 285 cubic feet. OnStar is available for the Chevy 3500 van. 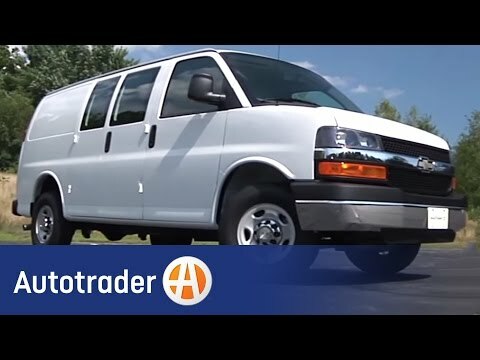 The Chevrolet express 3500 passenger van is great. It has Dual air conditioners and comfortable seats. The van drives and maneuvers well. OnStar is a plus. I would like to see the van more soundproof. I would recommend a backup camera and step sides on both sides. The gas mileage is not bad a 14 to 16 miles per gal. Sound system is pretty nice. Would like to see more storage space and cup holders in the van. Brighter backup lights would be nice to have. My van came with a tow package but did not include the wiring. So I would check on that it you need to tow something. The van rides better with heavy duty tires. Cargo van is a vehicle that is nice to have for income. My van is a nice vehicle its a cargo van used for work. The worst thing about it is gas mileage but its comfortable and can haul plenty of weight. Has plenty horsepower. The ride itself is not the best but what do you expect out of a vehicle that hauls a couple thousand pounds on the reg. GM will notify owners, and dealers will replace the ignition lock cylinder and the two associated keys. This service will be performed free of charge. The recall began on February 8, 2013. For more information, GMC owners may call 1-866-996-9463 and Chevrolet owners may call 1-800-630-2438.